South Africa’s National Prosecuting Authority (NPA) said on Monday it had extended the deadline for President Jacob Zuma to submit arguments on why he should not be prosecuted for corruption. They must submit their representation on Jan. 31, 2018,” said NPA spokesman Luvuyo Mfaku. The 783 charges against Zuma relate to a 30 billion rand (2.20 billion dollars) government arms deal arranged in the late 1990s. They were filed but then dropped by the NPA shortly before he ran for the presidency. South Africa’s High Court reinstated the charges in 2016 and the Supreme Court upheld that decision in October, rejecting an appeal by Zuma and describing the NPA’s decision to set aside the charges as “irrational”. 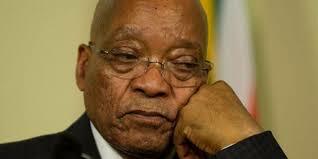 The NPA said then that Zuma had until Nov. 30 to make submissions before it decided whether to pursue the charges. Spokesmen for the NPA and Zuma were not available for comment. The president is unpopular with many investors after sacking respected finance minister Pravin Gordhan in March, a move that hit South African financial assets and helped tip the country’s credit ratings into “junk” territory. Infighting within the ruling ANC ahead of next month’s conference to elect a successor to Zuma as party chief has also sapped confidence among the investors upon whom South Africa relies to finance its hefty budget and current account deficits. One of South Africa’s leading universities, the University of the Witwatersrand (Wits) in Johannesburg, said on Thursday that it had appointed Gordhan as a visiting professor. He will join other ANC heavyweights, who have ended up at the Wits after being sidelined by Zuma, among them another respected and ousted finance minister, Nhlanhla Nene, and former Reserve Bank Governor Tito Mboweni. Widely seen as a competent and honest technocrat, Gordhan has become an unlikely poster boy for public anger at the president, whose administration has been marred by missteps and allegations of corruption.